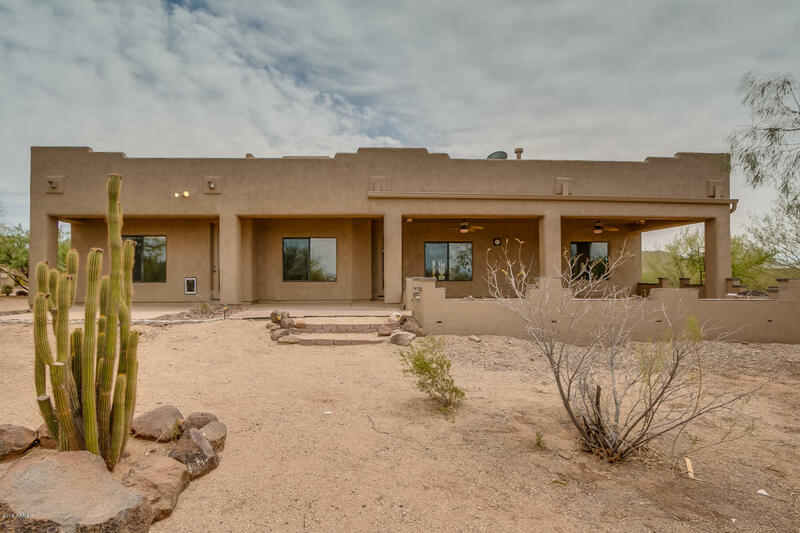 Get a huge sky, mountain views and a tranquil setting in this New River, Arizona home, all just a few miles from I-17 and Phoenix. Paved roads up to the well-maintained easement to a dream property on 1.2 acres. There's a three-car garage, a fireplace in the great room, granite counters in the kitchen, a breakfast bar island, and may other upgrades. The master suite has a private entrance and a custom walk-in closet. And you'll enjoy the large covered patio as you soak in the view.